I have an HTC Hero by Sprint and the webapp works perfectly for me! Thanks RideMax, you guys never fail! I will be purchasing Ridemax for Disneyland in about a week for our trip in December but I wondered if there was a limit on how many devices can have access to the software. 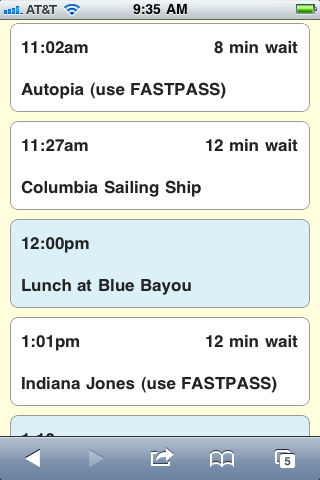 We have 6 people in our family with phones and may not always be together while in the parks. Tamara, if you’re in the same family, you can simply share the login information with everyone in your group. This would allow all of you to access the same plans from each of your phones. Six is no problem as long as you’re in the same family. Thanks for the reply Mark! Yes, we are all in the same family…big group 🙂 I look forward to purchasing Ridemax for our second time this weekend! We have used Ridemax in the past for Disneyland. We are going to Disney World for Halloween. Does Ridemax work for ALL the Disney parks? I am a tourist visiting disney. Does the webapp needs internet connection to work? because i dont think i will turn on my data roaming. Yes, the webapp does require an internet connection. Does the new web based version work on the Kindle Fire? Tamra, we haven’t explicitly tested RideMax on the Kindle fire, but if this is a requirement for you and you subscribe and find that it doesn’t work, just let us know and we’ll be glad to cancel/refund your subscription. Happy planning! It seems that you can only create a new plan about a month in advance of trip date, is this the case? Rick, for Walt Disney World, we make plans available at least 60 days in advance, so that members will have time to create plans before the 60-day-in-advance FP+ reservation window opens for Disney’s hotel guests. Disneyland, on the other hand, only makes park hours and show schedules available about 45 days in advance, so the planning window for the Disneyland version is more limited, as we depend on park hours and show schedules for our plans. 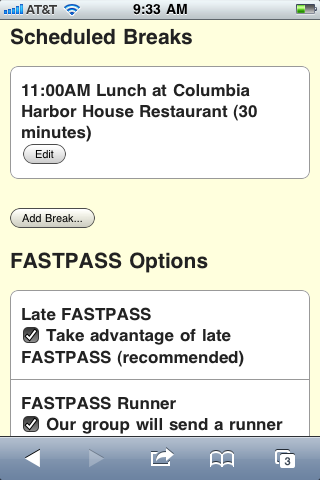 when making a plan, what do the asterisks mean next to “attractions i want to visit”? and what are the pluses and minuses for? thanks for your help. We are planning a Sunday visit to to Disneyland/California Adventure. Will this work for Sundays? 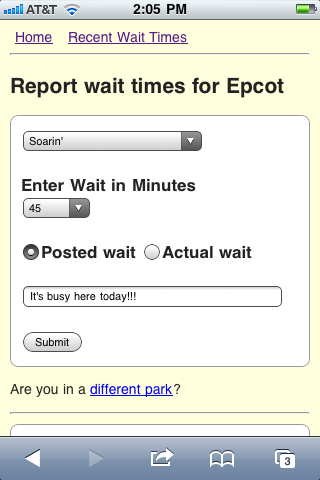 I hope this helps… Have a great visit!